With no doctor or therapist visits, the ingredients in these health and happiness recipes are something we can all do and afford, as long as we’ve got a recipe that’s personalized to our unique tastes and flavors. If you like sweet, you are going to LOVE this tasty treat! Place personal and interpersonal ingredients onto baking sheet and bake for 10-12 minutes. Allow personal and interpersonal ingredients to slightly cool. Melt nutritional ingredients in a double boiler over low heat. Stir the personal and interpersonal ingredients into the nutritional melt, coating each and every ingredient. Using a fork, lift the personal and interpersonal ingredients one by one out of the nutritional melt onto the baking sheet, letting the excess nutritional ingredients drip out from the fork slats. Sprinkle personal and interpersonal ingredients with environmental and physical ingredients. Place baking sheet in a cool area to allow the nutritional melt to set completely, 20-30 minutes. Before serving sprinkle with love because really, love makes everything taste better! How did we come up with this personalized recipe for health & happiness for Rachael? More important than detailed nutritional do’s and don’ts, Rachael’s epigenetic makeup responds well to a healthy, well-balanced diet that tastes good, looks good, and can be shared with others. Her personalized recipe thus keeps sugar (fructose, starches, and refined white sugar) to a minimum and recommends garlic and onion which, thanks to their allium content and bronchodilating properties, are immune system- and heart-enhancing. Rachael’s heart will also thank her for making oils, oily fish, and occasional vegetarian meals a part of her diet. Rachael’s body is naturally predisposed to build good muscle tone and not only responds well to exercise but relies on constant movement, from dawn to dusk, to feel mentally and physically stable. As evidenced by her strong legs, her body can handle endurance and strength training well, while her upper body suggests an affinity for doing activities that vary in intensity. Coupled with her natural increase in energy when around other people, this led us to recommend that Rachael mix it up and trade the treadmill for group exercise classes that are fun and take the “work” out of workout! Genetically inclined toward higher activity of the love and trust hormone oxytocin, Rachael feels amazing when she has good friends and loved ones around her, so we’ve made sure to include lots of these special moments in her personalized recipe for health & happiness success. Her genetic expression also suggests that she is quite drawn to the company of children and to caring and providing for people in general. We’re grateful that she has harnessed these natural gifts of hers into her daily life and that she so beautifully expresses them alongside guests on her show. At the end of the day, we hope that Rachael gets some down time because alongside lots of social activity, a bit of time to decompress is vital for Rachael’s body and mind too. For her environment, higher activity in the occipital lobe of Rachael’s brain makes visually pleasing details, big windows, open spaces and beautiful nature a must. Though her neural makeup suggests a love of variety, experimentation and change, her vasopressin levels ensure that she will have a smile on her face when with loyal loved ones in a visually pleasing environment. So when it comes time to take a vacation, Rachael needn’t go far. Being anywhere that feels as comfortable and relaxing as home will give her body and mind as much, if not more, benefits than going on a luxurious destination vacation. Add interpersonal and environmental ingredients to the bowl, and whisk with a fork to combine. Add nutritional ingredients to the bowl and blend all ingredients together using your hands. Roll a portion of physical ingredients in the mixture, creating 2” balls with a strong center. Place balls, ½ inch apart, on a parchment-lined baking sheet and bake until golden, about 25 minutes. Serve, enjoy, and be mindful of eating and laughing at the same time. Diners have been known to laugh so hard at Kelly’s jokes they fall out of their seat at the table or begin to choke on the tasty creation. How did we come up with this personalized recipe for health & happiness for Kelly? Kelly’s biologically gifted body benefits from a good amount of protein to keep her muscles and connective tissues healthy and its collagen to keep her skin and joints youthful. So as a good source of healthy protein and probiotics, we threw in Greek yogurt and tempeh. And because Kelly needs long lasting energy to fulfill her many roles (co-host of LIVE with Kelly and Michael, mom of Lola, Michael, and Joaquin, just to name a few), we included generous amounts of fibers for a healthy digestive system, anti-inflammatory Omega 3 fatty acids for a strong immune system, B vitamins for a resilient nervous system, and grains or cereals as Kelly’s ideal, energy-generating morning meal. Kelly’s phenotype suggests myriad benefits to being consistently active. Being active physically limits her naturally abundant mental activity and promotes a sense of calm and a good night’s rest. Occasional calming stretches, fun endeavors with her family, and/or hosting events with good friends can also help keep Kelly’s mind engaged throughout the day and not overly active when it’s time for bed. And because we know that difficulty with falling or staying asleep can be related to liver toxin build-up for Kelly’s particular genetic expression, and that catching plenty of zzzs really is essential (ahem ahem Kelly.. we’re just going to rub it in this one last time:)), we’ve recommended she have a bit of lemon juice on an empty stomach in those morning hours to flush out any unwelcome toxins. Kelly’s unique neurobiology gives her naturally higher activity in the temporal lobe of her brain, leading her to be incredibly attentive and responsive to the needs of her loved ones, and keen to understand them and share experiences through conversation. Coupled with a body that always wants to move, Kelly’s naturally adaptable and very capable nature leads her to be able to do many things well and to actively express her love and care through her physical actions. I’d rather not have a moment when I’m known for my looks; being funny and interesting lasts longer. Wholesome, nutritious, and full of goodness… there’s definitely something for everyone to love! Time: When easy does it, success is guaranteed. Add the interpersonal ingredients to a large bowl and toss with spices. Cover and refrigerate overnight to let it marinate. Preheat oven to 325°. Add interpersonal ingredients to a large roasting pot and sear on the stovetop until browned. Remove interpersonal ingredients from the pot and set aside on a plate. Add the physical, environmental, and nutritional ingredients to the pot and cook on medium-low heat until softened. Add the interpersonal ingredients back to the pot, add in personal ingredients, and bring to a simmer. Cover and transfer the pot to the oven for 45 minutes. Remove the pot from the oven. Transfer the pot back to the oven until personal ingredients begin to caramelize and interpersonal ingredients are tender throughout, about 45 minutes. Serve and share with close friends or family in a warm atmosphere. How did we come up with this personalized recipe for health & happiness for Michael? Michael is genetically predisposed to have a strong and resilient body that uses lots of energy to maintain and power its naturally large build. This gives Michael a naturally slower digestive system relative to other types of bodies and means that taking extra good care of his intestinal system is a must to ensure that everything else in his body runs smoothly. We’ve therefore suggested moderate amounts of dairy and fruit, and lots of vegetables, proteins and gluten-free or sprouted grains that are easier for his body to digest. Enzyme-rich fruits and spices like hot peppers, cumin, ginger, or garlic will give his digestive system a boost while probiotics keep his intestinal and immune systems strong and healthy. Given Michael’s personal neurobiology, just as important as eating these digestion-friendly foods is occasionally rewarding himself with pleasurable foods like sweets. As long as these indulgences are occasional and consumed early in the day when his body is primed to use them for energy, Michael will easily stay healthy and happy. Given his racial and genetic predispositions, Michael has an elevated risk of heart issues, so paying attention to the health of his heart, especially after his father’s scare with his own heart issues, is a smart choice. We’ve made keeping Michael’s heart healthy a no-brainer… In addition to his healthy diet, we included regular cardiovascular activity that boosts the circulation of blood and oxygen throughout his body. We said goodbye to high-intensity, high-impact exercise and hello to lots of moderate-intensity, steady exercise with breaks. The need to bring his heart rate down and back up again gives Michael’s heart muscle a continuous opportunity to learn to pump blood more effectively and the slightly lower impact keeps his ankles and knees healthy.Combined with full body weight training to fuel his muscles and functional training that mimics activities he does in daily life, Michael has his personalized recipe to live until 100. Michael’s epigenetic makeup doesn’t render him a natural morning person (it’s no wonder he hits the snooze button every am!) but it does give him a body that’s very adaptable and can handle stress well. So although his body may naturally prefer a later start to the day than what his morning TV duties require, he can nevertheless Wake Up Happy 😉 by focusing on keeping his nutrition, exercise, mental and social activities, and environment on par with what is natural and simple for his body and mind. Family and close friends are Michael’s everything. Because of his epigenetic makeup, knowing that his family is well taken care of and feeling loved releases serotonin, the happy hormone, from his brain and naturally reduces the amount of stress he feels. When Michael is enjoying delicious foods with people he loves, and hearing about Michael, Tanita, Isabella, and Sophia’s lives, his mind and body are overflowing with joy. This is who I am. I’m not perfect. I don’t want to try to be perfect. Kelly and Michael… what can we say other than that they are a beautiful example of complementarity in action. Both very likeable, charismatic, and “people people,” they are the perfect pair to inspire the world to have a feel-good day. They both have an infectious sense of humor and both inherently love someone who can make a good joke, which leads to an engaging, entertaining morning pairing like no other! It’s no surprise that when Kelly asks Michael what he did the night or weekend before and Michael shares a cool story of a low-key night he had, or even that he stayed in, Kelly is left with an “And…? That’s it?” expression on her face… because for her neurochemistry, the definition of an evening well spent includes engaging her mind in interesting conversation, her body in movement, and her whole being in novelty, excitement, and vigor. Similarly, it’s no surprise that when Kelly suggests Michael do one of her workouts, he is left with a “Uh Uh, not even if you paid me a million $” glare… because the don’t stop- won’t stop exercise routines, which for her body are naturally fun and exhilarating, are incompatible with his body’s needs of a steady pace with the occasional break. And while Kelly is likely to have an urge to be more adventurous, impulsive and decisive, Michael is more naturally inclined to think things through. On air, this manifests as a beautiful blend of unpredictability, stability, and fun – just the right combination to keep Gelman on his toes and create an engaging and low stress experience for each other and their audience. What life lesson can we take away from observing the ways that Kelly and Michael’s differences integrate? Undoubtedly it’s the importance of honoring our own nature and as a function being able to do the same for those around us. Kelly and Michael are so well-liked and have the 2nd most-watched daytime talk show in the country because they play themselves on tv… they each let their own true nature shine and acknowledge, often in unspoken or humorous ways, that they have different needs, preferences and personalities from one another. And that right there is the key to a successful relationship, be it romantic or other. When each of us can do what inherently feels and is best for us, for instance Kelly running a marathon while Michael does bodyweight and functional training (while Gelman does yoga) – rather than taking a road travelled by someone else – genuine health and happiness are waiting, knocking at our door. Get your fix of health and beauty with this light, mindful medley! Mix nutritional and physical ingredients. In a bowl, mash personal ingredients. Scoop environmental ingredients onto a spoon and gently form them into a ball with your fingers. Scoop nutritional and physical mixture into environmental ball, and stir in remaining interpersonal ingredients. Bake for 40 minutes at 375°. How did we come up with this personalized recipe for health & happiness for Gwyneth? Gwyneth has pale skin, blue eyes and blonde hair which indicates a tendency for Vitamin D deficiency, and her lean body further accentuates this tendency for demineralization. So we knew that Gwyneth will feel great and have plenty of energy when she can include lots of whole grains in her diet. Add some enzymes and healthy fats, and now her body can easily digest and absorb those minerals! Her biological tendency leans toward being determined, goal-oriented and structured, and her strong jaw line and attached earlobes reveal inner strength, independence and a dash of perfectionism. So Gwyneth’s recipe includes Personal Ingredients that can provide the sense of achievement she needs, and balances these out with Interpersonal Ingredients that make her feel comfortable in doing the things she naturally enjoys and does well. Gwyneth’s biological nature also carries with it a greater likelihood of being sensitive to cold, dry conditions and to overstimulation, like loud noises. So to keep her body balanced during stressful times, we made sure to keep it hydrated on the inside (through food and water) and outside (with a mildly humid environment and a swim), and we threw in a bunch of quiet “me” time! Place personal ingredients in a large, deep skillet on medium-high heat. When the skillet gets hot and starts to sizzle, reduce heat to medium-low. Add nutritional ingredients, taking care not to overcrowd the skillet. Stir and cook until ingredients begin to soften (10-12 minutes). Add environmental ingredients to the skillet and cook, stirring occasionally until browned (5-7 minutes). Add interpersonal ingredients to the skillet and mix. Add physical ingredients and cook an additional 5 minutes. How did we come up with this personalized recipe for health & happiness for Mariel? Mariel’s taller-than-average height, long legs and limbs, and bone structure suggest a greater risk of mineral loss in her bones. So we’ve added well-cooked protein and vegetables for easily-absorbed nutrients, mineral-filled oats to keep her nervous system, muscles, and bones healthy, and antioxidant-filled fruit to keep her immune system strong. Her body type suggests that relative to other brains, Mariel’s brain is more prone to surges of the neurotransmitter dopamine. What results is a determined, goal-oriented, and somewhat idealistic demeanor, with occasional worrisome, negative thoughts, which we keep in balance with a combination of physical, outdoor, and calming activity. Getting in touch with nature and enjoying the fresh mountain air through climbing, skiing, biking or hiking, exposes Mariel’s body to an abundance of negative ions, and is a great way to oxygenate her blood, calm her mind, and soothe her soul. Equally important, given her natural patterns of neural activity, is balancing ambition with tranquility by slowing down every once in awhile, whether to retreat to a quiet space to be by herself or to enjoy a peaceful space with loved ones. Combining Personal Ingredients that keep her body and mind alert and functioning optimally with Interpersonal Ingredients that are calming, meaningful, and mindful of the moment leads to a divine state of balance and harmony. Life just got a whole lot more beautiful thanks to this healthy and hearty creation! Time: Slow and dependent on the support around you. *Secret ingredient that makes life extra yummy: People you love! Arrange interpersonal ingredients in a single layer on one baking sheet. Drizzle with love and then give it a gentle shake to combine. Roast at at 425° for 15-20 minutes. Stir, add personal ingredients and roast for another 15-20 minutes. When done, the interpersonal and personal ingredients should be golden and tender throughout. While the personal and interpersonal ingredients are roasting, puree the nutritional and physical ingredients in a food processor. Pour over roasted ingredients once out of the oven. Sprinkle with environmental ingredients and a dollop of joy. Serve to yourself and people you love a whole bunch. How did we come up with this personalized recipe for health & happiness for Oprah? Oprah’s genes have given her a strong, capable body that’s well adept at handling stress and that takes its time metabolizing and absorbing every morsel of nutrient from the foods she eats. So her recipe has a generous helping of nutrient-rich vegetables and a bit of lean protein, spices that help stimulate her digestive system, probiotics that keep her gut microbiota in balance, and omega 3 fatty acids that help absorb fat-soluble nutrients and keep her circulatory system healthy and her hormones in balance. Also great for her naturally strong body is muscle-strengthening resistance exercise, intertwined with aerobic training to help keep her circulatory system running smoothly. Consistency is key, so exercising with her favorite people, having fun while moving her body, and not overdoing it are all important ingredients of Oprah’s recipe for long-term health. Most important of all is cooking, eating, and dining with anyone she considers to be like family because it’s amidst pleasurable company and palatable food that the love hormone oxytocin and happy hormone serotonin are released at optimum levels for Oprah. It’s these very hormones that render Oprah a natural caregiver and guardian who benefits immensely from giving and receiving love. As with any momma hen, tipping the balance slightly in favor of support over control in the lives of those whom she considers her beloved chicks, is key for body-mind harmony. Want to find your recipe for health and happiness success? Check out ShaeTM. There’s something for everyone in a health & happiness recipe collection that’s tailored to you! So healthy, so gentle, so good… Your whole family will love it! Prep and assemble all ingredients first. In a large saucepan, melt environmental ingredients over medium heat. Whisk in physical ingredients, and cook over medium heat while stirring. Once thickened, remove environmental & physical ingredients from heat and stir in nutritional ingredients until melted. Top mixture with personal ingredients. Cool 15-20 minutes before serving. Enjoy in a “no-rush” atmosphere. How did we come up with this personalized recipe for health & happiness for the First Lady? Long, lean (and certainly not mean) Michelle Obama’s biological predispositions render it extremely unlikely that she’ll ever have to worry about severe obesity; instead they suggest it worthwhile to pay some extra love and attention to her circulatory and digestive systems, which may be taxed during times of high stress. To harness the power of epigenetics to help her steer clear of potential illness and be on her “A” game in her role as First Lady, we made sure to include healthy oils that promote lymph and blood flow, and a hefty helping of leafy greens and fruits full of antioxidants, vitamins and minerals to boost her immune system. Because it may sometimes be difficult to digest the fact that this is the President’s last year in the Oval Office, we opted for well-cooked protein and easy-to-digest root vegetables in lieu of refined flour for the First Lady’s recipe of health and wellness. Given her genetic expression, Michelle’s 60 minutes a day of physical activity are best done at a constant pace. A balance of medium-paced cardiovascular activity, with a few occasional sprints thrown in, is ideal for the First Lady. Follow this with activities that stretch her body and calm her mind, and she will not only look and feel healthy, but will have healthy restful sleep all night, waking up with regenerated cells and a positive outlook for another productive day. The First Lady’s body also has a natural strength and resilience, especially when in an environment that is physically and psychologically comfortable. Fresh oxygenated air and a warm climate keep her energy levels high and her mind clear. Spending a bit of her time finding a best solution to a problem or puzzle gets her neurons quite excited, though not nearly as blissful as when she’s letting her hair down and enjoying low-key moments with her loved ones! Freeing and energizing recipe that packs a powerful nutritional punch! In a large bowl, mix together all ingredients, one after the other in logical sequence. With a handheld mixer, beat the mixture on low speed for about 1 minute. Spoon the mixture evenly to fill 2 cake pans. Bake for 25 to 30 minutes or until sides are lightly browned. Let cool. Once cool, remove contents of one cake pan neatly onto a large flat plate. Evenly cover the top with ½ of the nutritional ingredients. Remove contents of the second cake pan and place on top of the first. Cover with the second ½ of nutritional ingredients and spread around the sides. Refrigerate your planful creation for 30 to 60 minutes to ensure it is solid and firm. Serve amidst deep thought and intellectual conversation with a small group of people. How did we come up with this personalized recipe for health & happiness for Mr President? To fulfil his role as President, Barack is oftentimes required to push his body and mind to extremes. What this does is activate the cascade of stress hormones in his body, increases his heart rate and blood pressure, and contributes to inflammation. Thanks to his healthy lifestyle habits, Mr President has avoided the major health pitfalls of such a phenomenally demanding job. Nevertheless, he hasn’t been entirely immune (pun intended :)) to the symptoms associated with chronic stress and inflammation, including plantar fasciitis in his foot and acid reflux in his stomach. Because chronic stress can also thin the skin and weaken the strength of his muscles and bones, we included plenty of calcium, magnesium and Vitamin D-rich foods for Mr President’s bones, complete amino acids and selenium and collagen-rich foods for his muscles, tendons and joints, and healthy fats, and vitamin E- and A-rich foods for his skin and tissues. 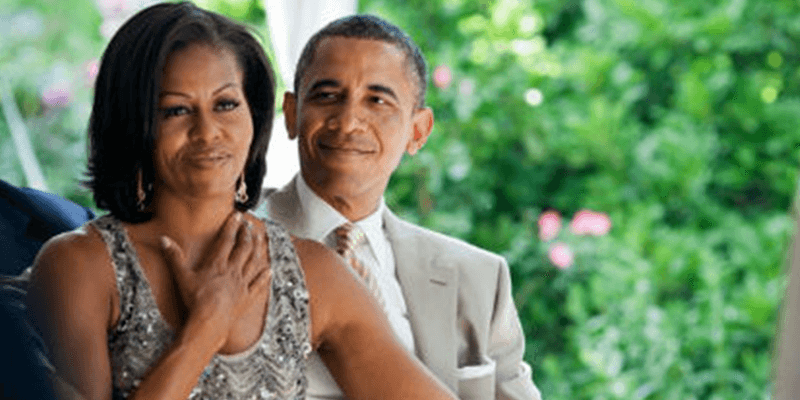 We also recommended that Barack go for anti-inflammatory foods like garlic, onions, turmeric, ginger, and berries in lieu of potentially pro-inflammatory foods like short chain carbohydrates, peanuts, chocolate and nightshade vegetables. To temper his acid reflux, we kept acidic foods like tomatoes and oranges, and animal fats found in cheese and bacon to a minimum and accentuated well cooked meals, which will keep acid reflux to a minimum and enhance his body’s ability to efficiently absorb nutrients from food. Many know that Barack is no stranger to hitting the treadmill hard or playing a great game of b-ball with colleagues and friends. To keep him on his feet – faking left and dribbling right – for many years to come, we recommended Barack keep at his exercise schedule while being mindful of the impact he’s putting on his heels. So Mr President may choose to ease up on the treadmill and instead add in some time on the bicycle, in the pool, or on the elliptical machine. Given his biological predispositions, Mr President’s body loves movement and physical challenges, so including plyometric exercises and weight training to build muscle and speed, and activate his fast-twitch muscle fibers, is another great idea. Not only does moderate-to-high intensity exercise do his body good, it also does his brain good, enhancing his ability to make decisions and solve problems, while also improving the quality of his sleep. And given his epigenetic predispositions, starting and finishing his workouts with good stretches of the spine and legs (especially his calves) will ensure that his joints, tendons, and fascia are relaxed and pliable, and that he has full range of motion for his duties on the court and in the Oval Office. Mr President’s individual neurobiology affords his brain increased activity in its frontal lobe, which benefits from structure and order. Therefore, logical conversations with like-minded people, clean spaces free of mess and clutter, and clear, easy-to-follow schedules are all likely to help Barack do his finest work. Couple that with some time in a warm climate and he will be able to achieve a state of mental and physical relaxation that enables both his mind and body to rejuvenate and re-energize. Our differences, if understood, can allow us to enjoy loving companionship. Here’s an example from the President and Mrs Obama. Michelle and Barack share a number of similarities, from their natural intellect to their need for stability to their desire to help others in a big way, though they also differ in a number of ways. To avoid interpersonal conflict, it’s great if Barack and Michelle devote some time to ask about each others’ feelings, because given similarities in their biochemistry, they each aren’t very likely to volunteer sentiments on their own. Incredibly warm, delicious, and bursting with tenderness – simultaneously satisfying your heart and taste buds! Peel interpersonal ingredients, cut into wedge-like shapes and place on a lightly greased baking sheet. Warm personal ingredients in a medium pan then add to a large bowl along with environmental, physical, and nutritional ingredients. Mix well and adjust spices to taste. Sprinkle personal, environmental, physical, and nutritional ingredient mixture over interpersonal ingredients, covering them completely to seal in the sweetness. Bake at 375° until interpersonal ingredients are tender and personal ingredients are a beautiful golden color. Serve warm and watch your creation do as you do in welcoming others with open arms. How did we come up with this personalized recipe for health & happiness for Maria? Maria’s body is gifted with a physical structure that is generally very lean and light and strengthened by the unity of her deep passion and intellect. Because Maria’s body tends toward slower digestion and therefore slower lymph function and water retention, a healthy diet for her is one that’s full of a wide range of nutrients from fresh vegetables, fruit and lean protein and sparse in refined flours and insoluble fibers. Given her slower digestive system, it’s important that Maria make it a conscious priority to eat small portions of food, chewing each bite slowly and thoroughly, and do so in a peaceful environment, optimizing her body’s ability to absorb the nutrients that it craves for good health and vitality. Maria’s lovely pear shaped figure also suggests that her body may very well appreciate a gentle boost in metabolizing protein effectively. Cooking her protein well and eating it with other foods that contain plenty of enzymes and digestive stimulants, like pineapple, papaya, and various spices, will give Maria’s digestion and metabolism a helping hand in breaking these proteins down into amino acids to be used in her body. Managing stress is a potent life skill and for Maria’s epigenetic profile it may mean the difference between an ordinary, unenthusiastic life and a meaningful, passion-filled existence. Setting aside time for peaceful relaxation and mental calmness will ensure that Maria’s hormones are in harmony and that her physical body is strong. Being asleep by pumpkin hour (ie midnight, for those of us who aren’t Cinderella-literate) will optimize her body’s ability to convert muscle glycogen and lactate to glucose and guarantee that Maria is free of muscle pain and soreness and wakes up energized for the day ahead! Thanks to her unique neurobiology which gives her naturally higher activity in the frontal lobe of her brain, Maria is blessed with a love and desire for intellectual stimulation, deep thought and rationality, which she prizes in herself and in others. We’ve therefore recommended Maria make it a habit to take time for herself to give her mind ample opportunity to process the events of her life, the feelings they arouse within her, and the larger significance and lessons contained within them. We’ve also suggested that she regularly engage in meaningful conversations of an esoteric or worldly nature with like-minded people, which will signal her body to naturally produce the happy hormone serotonin, leading her to a cheerful and calm state of mind. Maria’s neuro- and bio-chemical affinities create a beautiful blend of family-centeredness and world-consciousness like no other. A fervor to create a utopian world that she intuitively and logically knows can exist, along with a deep-rooted passion for helping others makes Maria a devoted parent, maximally loving, kind, and generous, and a remarkable humanitarian, sharing her overflowing bucket of love not only with her own children but anyone she encounters. The result? The world is a better place because she is in it, and we are all better people for knowing her. Healthy, practical, and full of flavor to satisfy all your energy and nutritional needs! Cook nutritional ingredients in a pot over medium-high heat until fully cooked through. Add interpersonal ingredients, cover, and set aside. In a large bowl, mix together physical and environmental ingredients. Add to the skillet and sauté for about 5 minutes. Add personal ingredients to the skillet and sauté for 2-3 minutes or until personal ingredients have softened. Add physical, environmental, and personal ingredients mixture to the pot with nutritional and interpersonal ingredients. Serve with others at brunch or as a healthy snack during the day. Bon Appétit! How did we come up with this personalized recipe for health & happiness for Kate? Lean and toned is natural for Kate, whose body is biologically programmed to love movement and a bit of a challenge. So we’ve recommended lots of physical activity, including higher intensity, dynamic activities to engage her fast twitch muscle fibers and help keep her hormones balanced and her neurotransmitters happy. With all that movement and a naturally swift metabolism, replenishing her body’s energy stores with plenty of healthy calories from protein and carbohydrates is a must. To this we added some berries for their beneficial skin-healing antioxidants and some oils for their heart healthy Omega 3 fatty acids and voilà! Kate has just what she needs to maintain an active and youthful body. And it’s not just physical stimulation that Kate’s phenotype benefits from… Kate’s mind is a magnet for mental stimulation! In order to thrive, she needs to express herself freely, to explore, change, and try new things. So we’ve made sure to include variety, novelty, and challenge in her recipe for health and happiness success, along with a dash of warmth and sunshine to fulfil her blonde-haired, blue-eyed, light-skinned body’s Vitamin D needs. Put forth the effort to improve, and create things that will make a difference. Juicy satisfaction drowning in a sea of love? Yes please! Place environmental, personal, and nutritional ingredients in a large bowl and set aside. Place a medium skillet over medium-high heat and lay physical ingredients out in a single layer. Cook for 3-4 minutes, flip and cook for another 3-4 minutes. Remove from the pan and set aside on a large plate. Add interpersonal ingredients to pan and toss until they start to soften, 5-7 minutes. Remove from heat and have some fun experimenting with how to lay it out on a plate for beautiful presentation. Kelly’s got a body type that is naturally strong in the face of environmental challenges. What doesn’t kill it makes it stronger, so it prepares for potential stresses by retaining muscle, and body fat too, making proper digestion a must. So to keep her digestive juices flowing, refined and processed foods are scarce in Kelly’s recipe while easily-digestible and nourishing vegetables are aplenty… especially important when eating for two 🙂 Low glycemic foods help keep her blood sugar levels stable and healthy fats and antioxidants keep her circulatory system in great condition, so we’ve included a heap of those too! Kelly’s strong, enduring body type can handle long periods of exercise, and benefits immensely when her muscles are involved. So we’ve added more upper body strength exercises and circuit training that keeps her heart rate up, which will not only increase the strength and tone of her muscles but will also ramp up the rate at which her body burns calories. A win-win 🙂 And for her naturally cheerful and friendly biochemistry, the more exercise is a fun and social activity, the more likely it will become a habit and reap continuous rewards for her body and brain. Kelly’s neuro- and bio-chemical affinities for higher progesterone and serotonin levels suggest that the love, joy and pleasure she feels around her loved ones are essential for her health and well-being. So we’ve made sure to include plenty of opportunities for her to spend time with her kids and nurture the positive relationships in her life, boosting her self-esteem, and leading her to feel loved and appreciated for the beautiful woman that she is. Fun in the hot sun? Not always so fun for Kelly. Because her body tends to retain heat, it’s the cool breezes and mild yet sunny climates that give her a boost in energy. A comfortable indoor space, where she can enjoy her own company or the company of her close friends and family, is the cherry on top of this delectable recipe.